Hi . 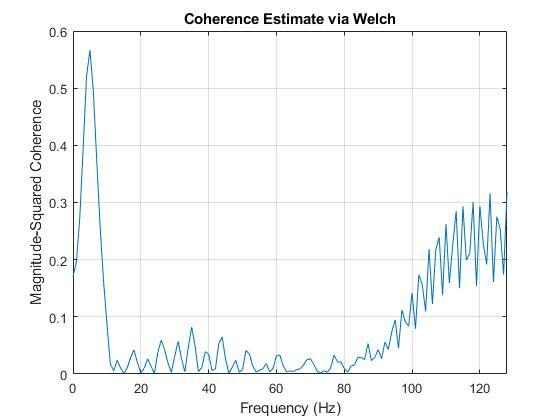 i want to calculate coherence and functional connectivity between 2 eeg signals. I used mscohere function but i think i did something wrong. I want to calculate Magnitude-squared coherence between 2 signals from eeg electrodes. I used bandpass filter to select Alpha band (8-12Hz) then use mscohere function. In the result figure frequency spread between 0-120 Hz, is it normal ? if yes,why despite of that my input signals are between 8-12 Hz,output is between 0-120?if no, what is wrong?